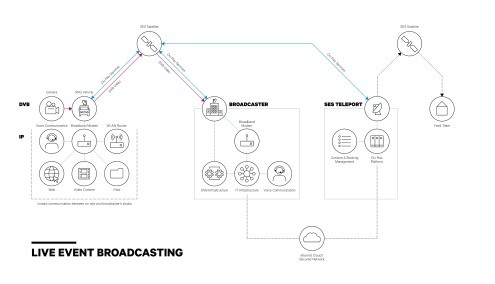 SES unveils 'OU Flex' for SNG satellite truck operators. Luxembourg, March 2018: As video customers increasingly need to handle multiple video formats for distribution on multiple platforms and access reliable communication between locations while covering live events, SES has unveiled a new product, “OU Flex”, which is designed to enhance Occasional Use services. 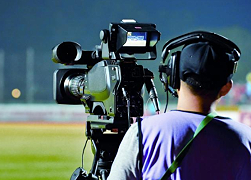 While supporting live video distribution as a priority, the OU Flex solution also provides high-quality IP connectivity to enable the simultaneous use of multiple data applications - including connections to a corporate network, emails, web browsing, video file transfer, as well as feeding live video content to social media, or streaming live video content in high-quality online. “Live event and breaking news coverage today poses multiple challenges in meeting viewer expectations. Viewers demand instantaneous access to information, high picture quality, and the ability to watch video content anywhere, on any device. OU Flex is the ideal solution to help broadcasters address those needs,” said Steve Bisenius, Vice President, Regional Sales Engineering, SES Video.